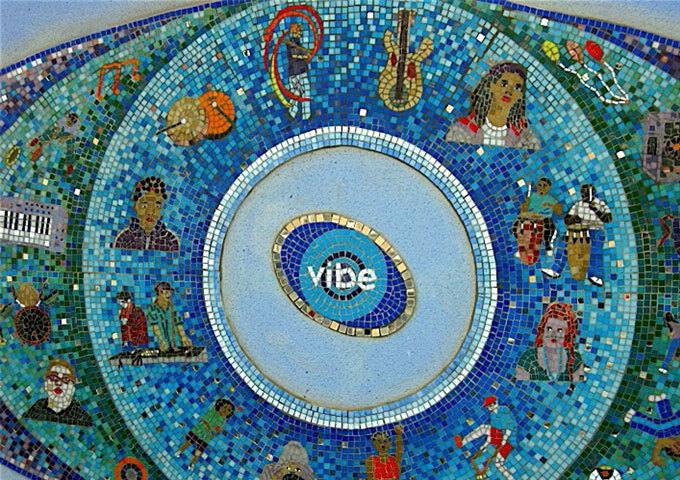 A ‘VIBE’rant mosaic designed for the courtyard wall of the Vibe Youth Centre, in Barking and Dagenham. 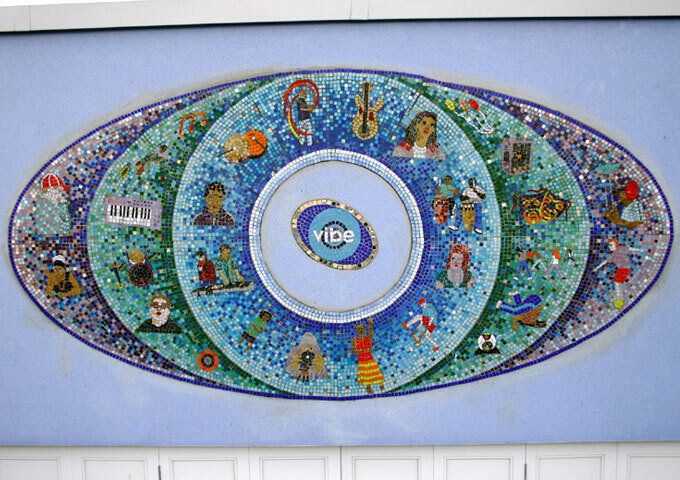 The concept image is based on an eye shape, which illustrates within it some of the activities that go on in the centre, in which the young people helped to produce. 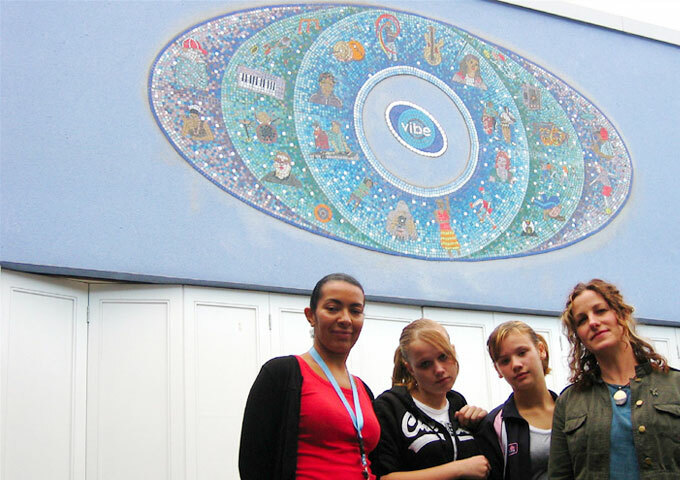 It’s a creative hub of drama, dance, art, video and music skills. 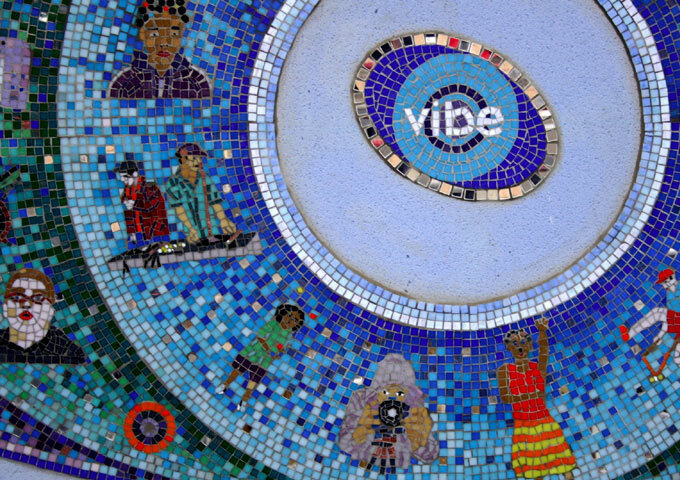 This entry was posted in Community Projects. Bookmark the permalink.